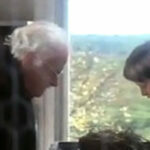 Pigeon racing cannot compete with the new “hobbies” of young people nowadays. Wi the same amount of money, young people can go buy the latest eletronic gadgets. Also young people are more mobile and the very nature of pigeon racing requires that the fancier stay at home for most of the time. 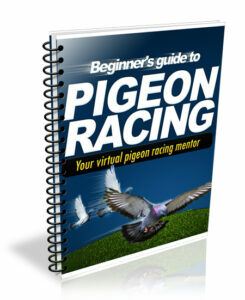 In pigeon racing countries like The UK, Belgium, Netherlands, etc. the number of fanciers are not increasing but still the interest is there. In my own country pigeon racing is starting to become popular as young people and even professionals are just discovering the sport. About 10 years ago, there were just a handful of pigeon clubs but today there’s more than a hundred and more are being established. I have been racing pigeons since 1960 when I was ten years old. When I first started I couldn’t travel more than a block in my City and not run into a pigeon loft. This was in a City of over 30,000 people which was a good-sized city in 1960. The local Racing Pigeon Club had about 60 members and grew to its largest size ever in about 1965 with over 70 flyers. This club was formed in 1917 and continues today, but by 1969 there were only 12 members left and it looked like the numbers were going to decline even further. In less than four years our club went from its largest membership number number to almost nonexistance. I wundered then if the sport was dying but I wasn’t going let it happen if I had anything to say about it. Back in those days most of flew our birds from small lofts usually about 6 feet by 8 feet located somewhere inconspicuous in our backyards. Our teams of birds were small made up of birds we raised from local stock and road training was fairly limited. It was fairly easy for a flyer to dominate the competition. Things have evolved considerably since then. Now days the average loft size is six or seven times what we had in the 60’s. The teams of birds we fly are from expensive imports or other expensive famous well-bred birds. The number of birds we keep is greater. The level of care we give including the knowledge of and variation of medications we give our birds is much more comprehensive today than it was in the 60’s. All-in-all the commitment people make today to the sport of racing pigeons is much greater than ever before. So when people say to me that this is a dying sport I tell them quite the opposite is true. The sport has not only grown in terms of numbers compared to our own low numbers of fourty years ago, but those participating have a greater commitment than ever before. The sport is growing in stature and in numbers. The sport is only as good as its people. I person never said a truer statement. its all money ! we can survive in the small clubs but to progress is defeating and no way is it cost worthy to the little man ! most of us no so rich people are sitting on the fence and cannot afford to play in certain leagues because of money. work it out ! you rich people are living you’re own sport which is taking the sport to extinction and ruining it all as MPs and the rich do in politics. Spoilt brats as yourselves mess everything up. I can go for the catorgory of only a good pigeon wins but if you cant afford to enter. ???? work it out dopes! you are killing the sport ! no-one else. 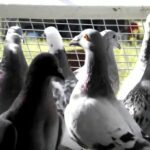 Yes, pigeon racing is definitely declining. There are many factors involved from cost to alternative hobbies or lifestyles to ordinances and CCR’s to just plain greed. The cost to fly is very prohibitive for most people . Also the cost of good birds is far too high. When I was a teenager many peers had birds but you don’t see that anymore. It seems that one loft races are taking over the sport with extreme entry fees. More needs to be done on a club by club level to get involved with groups like 4H and FFA to push this great hobby. Flyers need to be far more generous with help-no matter if it’s birds or loft construction or training or advice or fund raisers to help offset new flyer’s initial costs to get them started. It’s just plain tough competing with all the other interests that are available to young people today. Our combine is down to about one quarter of it’s one time number due to all of these reasons and I’m afraid that in 20 years or so the sport might be quite negligible. It’s a shame. Although there are new people trying it out all the time, it’s still going downhill from what I’ve seen. Probably the 50’s-80’s was the pigeon explosion around here. Several people in each town raised pigeons, although they may not have raced. The sad part there is, most of them have passed by now, or are just not able to continue with the hobby. So by saying it is dying out, that’s a pretty literal way to put it. Young people are what will keep it up one day. I think pigeon fanciers should try harder to inspire kids and young adults to try out pigeons. Even if they don’t jump right into racing, it’s a start. But I agree, a lot of people are turned away by the rising feed, bird, and shipping prices. Also, most kids probably have (or at least feel as if they have) nothing better to do than sit around and do nothing. Video games, music, getting into trouble, sleeping, tv, more sleeping…This could really be beneficial to them, don’t you think? I think it would be good. I believe young people would like it, but most have never heard about it. Yes, I think the sport is declining in this area. Pigons are priced out of range for a beginner, and the feed and medication is skyrocketing each season. Feed in this area run from $22.00 to 32.00 a bag, depending on whether you want pellets or grain. Unfortunatley I personally think pigeon racing is a dying sport. 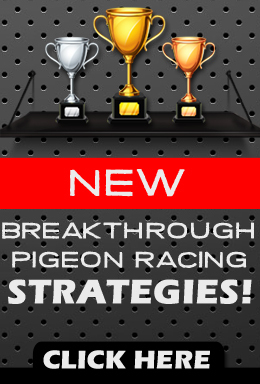 I don’t think that pigeon racing can compete with todays technologies like video games and cell phones. and dearly in need of lots of young blood………..But the big reason why I feel it’s on it’s way out the door is because sadly younger people prefer games to taking on the responsibility and commitment of taking care of live creatures such as pigeons, the world in my opinion would be a better place if younger persons would put in the care and commitment to such a wonderful sport as pigion racing! HOBBY/SPORT/BUSINESS!!! That is why it is dying!! The sport is slowly growing but strangly with more older fanciers. I also think that the pigeon bussiness and high priced birds are making it difficult for the young fancier to get started. I am also restarting in the sport. I am trying to locate to where I can fly pigeons and still have amy career. I am not intending on retiring anytime soon. Sorry Chris i wanted just to let you know that i really enjoy your work on this new and exctting website your way ahead of your self and a TRUE pigeonman. The hobbie need more of you . I THINK PIGEON RACING SHOULD BE ON SPORT CHANNEL SO MORE PEOPLE CAN SEE WHAT ITS ALL ABOUT I LVE IN BROOKLYN AND THE ONLY TEAM I KNOW ABOUT IS IN S.I.ARE THEIR ANY IN BKLYN PLEASE REPLY.